The company says it ran into delays in securing financing, though Essar Steel officials have said they’re still committed to building the plant. create an estimated 500 jobs in Nashwauk. taconite demand in coming years. 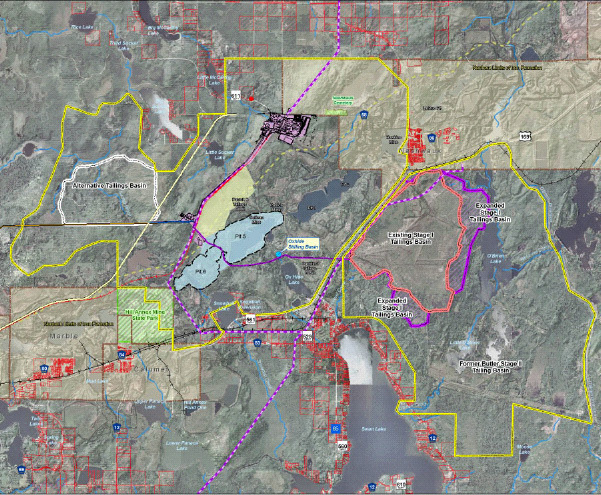 NASHWAUK — Area residents are hungry for more information about the Essar Steel Minnesota LLC (ESML) project. Around 80 people attended Thursday’s ESML informational meeting held at the Nashwauk-Keewatin High School. The meeting was focused on the project’s recently announced modifications and the accompanying Supplemental Environmental Impact Statement (SEIS). Many attended to get an update, while others had questions about the future of the project. One of the residents living within the ESML right-to-mine area said many favor the project. Comments like these were directed to the comment box at the back of the room. Minnesota Department of Natural Resources (DNR) SEIS Project Manager Bill Johnson explained the project’s modifications and the resulting SEIS process. An EIS reviews a proposed project’s description, alternatives, and potential environmental, social and economic impacts, as well as possible mitigation for said impacts. Such reviews must be completed before permitting and construction can begin. The DNR conducted an EIS process for the Essar project in conjunction with a federal environmental review by the U.S. Army Corps of Engineers. Both agencies completed the original EIS in August 2007. Earlier this month, Essar officials announced a proposal to increase the mine’s annual pellet production from 4.1 to 6.5 million tons. Here is information about what generation projects are in line waiting for interconnection, and keep in mind that this is the MISO queue, and part of Illinois, and a big part of the load, is in PJM. THERE IS 9,853.3MW OF WIND IN QUEUE IN ILLINOIS. The links in columns S, T & U are the transmission studies showing what can be connected, what the system can bear, and what improvements would need to be made. Check them out for some fun reading. We need a business plan. That’s encouraging, because he apparently realizes that the above equation does not make any business sense. That is the most important part of this issue — and the pell-mell hell-bent push for transmission. WHY? Why would anyone in Illinois want to pay when it’s right there in Illinois, and the offshore wind hasn’t even begun? 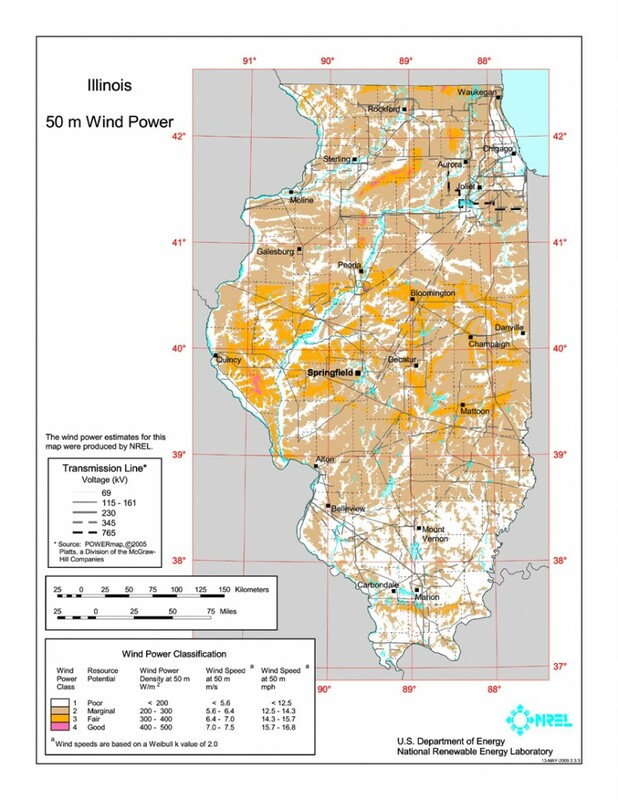 NREL has targeted Illinois as a wind production state, and… well.. DUH, what’s Chicago’s nickname after all??? Why would anyone out east want to pay for transmission of wind, on land a 41% capacity factor at best, to have it shipped 2,000 miles and pay BILLIONS to build that transmission, pay cost of transmission service, and pay cost of line losses, and cost of reactive power? And the pitch? Nothing new, just RE-AMP toadying for utilities, but I’m waiting for Howard “The Slow” Learner to prove me right, again… and to see how far they go to promote transmission. The ELPC has also been working with the South Dakota Energy Infrastructure Authority to develop and expand transmission lines across South Dakota. They will also work with neighboring states to develop new approaches for more transmission. The available wind energy in South Dakota is far greater than the state’s electricity needs, so the ability to move this power out of the state is crucial. What is ELPC doing to develop and expand transmission? Transmission lines across South Dakota moving this power out of state means it comes into Minnesota — funny how that works. What is ELPC doing about the coal plants in queue in the Dakotas? What is the goal of ELPC’s invitation-only Transmission Strategy Meeting? Anyway, it was no surprise to me — Learner saw I was on the list and has slammed the door in my face! Imagine that! SNORT! It seems that people with a lot of working knowledge of transmission, knowledge of history, and knowledge of the parties involved are not welcome. Specifics on this meeting are below. Don’t drop the ball, Howard! 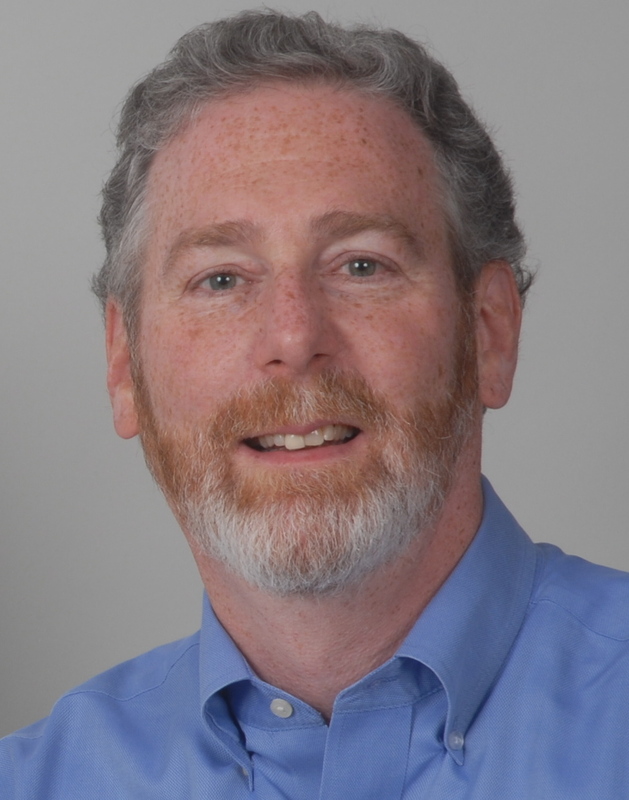 Will Howard Learner and ELPC be the utilities’ water boy for transmission that’s planned stretching from the Midwest to the East Coast or acknowledge that more big transmission is not needed or wanted? 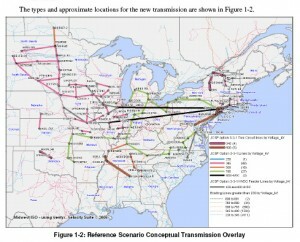 And why would anyone want to advocate for transmission to the East Coast if the East Coast doesn’t want it? Will they respect the East Coast’s solid “NO!” to Midwest transmission? How ethno-geo-centric will they be? Here are a few posts with links to the primary documents of NYISO & ISO-NE, NY’s Deputy Secretary of Energy, the 10 Mid-Atlantic Governors letter, etc. Eastern Governors stand up against Transmission!!! In order to integrate and move that alternative power east through Illinois, the grid would have to be expanded and upgraded, say transmission experts and utility companies. The estimated cost to move that wind power east could range from $64 billion to $93 billion in 2009 dollars and would require 17,000 to 22,000 miles of transmission lines to be built in the eastern half of the country alone, according to the Eastern Wind Integration and Transmission Study (EWITS) published in January and prepared for the National Renewable Energy Laboratory. 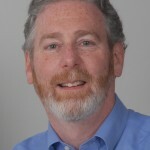 The Energy Foundation/McKnight funded and orchestrated promotion of transmission has been shameless, as bad as the enviro support for coal gasification, their transmission efforts ranging from attempts to gain endorsement of the regional SEED group (organizations that as a whole knew nothing about transmission) to legislative “it’s a deal, a package deal and it’s a good deal” changes desired by utilities, to NWCC “concensus building” to supportive intervention in transmission dockets. That agenda continues despite clear evidence that midwest transmission supports coal, our RES that does not link an increase in renewables with a decrease in coal, MISO policy that has a goal of displacing natural gas with coal (see “Conclusions” in ICF – Midwest ISO Benefits Analysis) , and decreased demand and a conservation mandate, such that transmission is not needed now and probably not needed ever. Whose interests are these organizations acting in? Their interests, their funders’ interests. Where’s consideration of the public interest? 1. We appreciate the Energy Foundation’s grant support to cover reasonable travel/hotel costs for individuals and organizations that may need assistance in order to attend this important regional meeting. 2. Please call/email Kay Tamillow at ELPC (312-795-3709, ktamillow@elpc.org) for information on the favorable hotel rate that ELPC has obtained and to make reservations. 3. Please RSVP to attend if you’re interested and have not yet done so. Please join us for a Midwest Transmission Strategy Meeting on April 20 (dinner) and April 21 (full day), 2010 in Chicagoat the Environmental Law & Policy Center’s conference space, 35 East Wacker Drive. 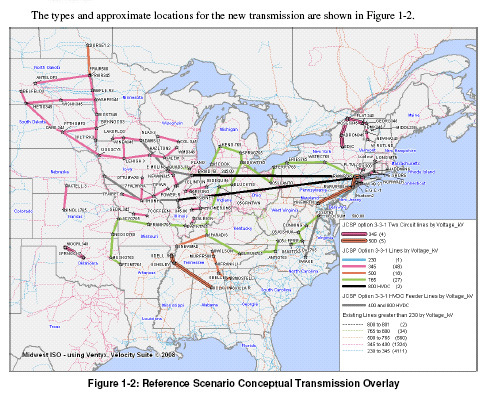 New major interstate transmission lines in the Midwest/Great Plains are a double-edged sword: On the one hand, they can provide additional needed delivery capacity for wind power and other new renewable energy development; on the other hand, they can provide enabling delivery capacity and lifelines of support for the continued operation of old highly-polluting coal plants. We will be developing strategies to advance the former and avoid the latter. We will also address important cost-allocation issues for new transmission. Please RSVP to Kay Tamillow at ktamillow@elpc.org or 312-795-3709. More info to follow on hotel, etc. The purposes of the strategy meeting are to: (1) Bring together Midwest environmental, clean energy and consumer leaders to learn together and get up-to-speed on key transmission strategy and policy issues, (2) Set the strategic framework for what types of transmission lines we will support and which not, and what we can and should do through advocacy; and (3) Initiate strategic discussions and actions on high-leverage transmission advocacy targets in the Midwest/Great Plains states. The importance of new transmission capacity to support wind power development is relatively clear. There is a less obvious and equally important goal of relating transmission advocacy to spur the retirement of old, highly-polluting coal plants in the Midwest/Great Plains states. There is a very important set of strategic leverage points because of the structure of the Midwest/Great Plains power market in 2010 – 2020. The framework for the agenda is as follows below. We will distribute a final agenda closer to the meeting date. Dinner Meeting and Briefing with wind industry and transmission line developers presenting. Morning: Strategy briefing and short course on key transmission issues and opportunities for environmental, clean energy and consumer advocates. Afternoon: Strategy planning and discussion on: (1) Engagement/intervention in key policymaking forums: FERC, MISO, State PUCs, Public Outreach; and (2) Focus on Pros/Cons and potential challenges to particular transmission line proposals in Midwest/Great Plains region. Please RSVP to Kay Tamillow at ktamillow@elpc.org or 312-795-3709. More info to follow on hotel, etc. ELPC is working to obtain foundation support to cover reasonable travel costs for individuals and organizations that may need assistance. Please indicate in your response if you will need reimbursement of reasonable travel costs. We all understand the strategic importance of this meeting and the issues to be discussed. Thank you in advance for you participation and engagement. Please let me know if you have any questions or suggestions. I’m writing to let you know that the Transmission Strategy Meeting on April 20-21 is a “by invitation only” strategy session among a group of directly invited environmental – clean energy – consumer colleagues, rather than an open conference or seminar event. Members of the planning group for this particular strategy session have asked that we limit attendees to those directly invited. Although my assistant Kay Tamillow did receive your RSVP, we’ll ask that you not plan to attend. The Sierra Club had an excellent transmission strategy planning meeting in West Virginia last spring of those intervening in transmission dockets, attorneys, expert witnesses, and advocates from both coasts regarding their focused and effective efforts. I think I shall regard your missive as confirmation that your strategic plan and goal is quite different from that of Sierra. 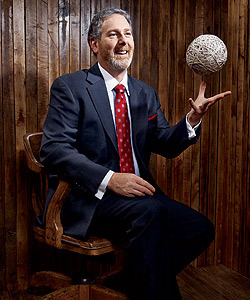 NRG’s Corneli in the news! How can Corneli say the word “sequestration” with a straight face? I ran into an NRG PR flak a couple weeks ago at the Indian River closing of Unit 3 meeting, and I made sure to tell him how much I appreciated NRG’s Steve Corneli’s work when he was an Asst. A.G. and singlehandedly, well, almost, stopped deregulation in Minnesota.. and to think he now works for NRG. SNORT! The DNR has announced a Supplemental EIS for the Essar Steel project (f/k/a MSI). Notice published 3/22 for a meeting on 3/25? CLICK HERE for the DNR’s page for the MSI EIS. So for a 50% increase, multiply those numbers in the Potential to Emit Chart by 150%. Take a look at those numbers and ask if that’s what you’d like in your lungs and fish. * Does Essar now or anytime during the term covered by the supplemental EIS now being considered, and the term of the air permit currently issued, intend to use any amount of coal or metallurgical coke in any part of the mining, taconite or steel production processes or for energy at the Essar Steel Minnesota, LLC Nashwauk area facility, mine(s) or waste disposal and tailings sites. * How many peak and average megawatts of electricity are now projected to be required for the facility in each year of operation, and specifically during peak operation in July, 2013, July, 2018, and July, 2023. * How many peak and average million cubic feet per hour of natural gas are now projected to be required for the facility during full operation in July, 2013, July, 2018, and July, 2023. * When will MPCA put air permit amendment out for review and comment? CLICK HERE for the DNR’s Supplemental EIS for Essar page. DNR will prepare a Supplemental EIS on a proposal by Essar Steel Minnesota to increase the production capacity of the Nashwauk facility’s crusher, concentrator, and taconite pellet plant from 4.1 million tons per year (mtpy) to 6.5 mtpy. This will require the addition of a crusher/concentrator line, and the installation of a larger pellet furnace, to the project evaluated in the original Minnesota Steel Project EIS. The SEIS is designated to deal only with impacts, alternatives, and mitigation that are no longer adequately examined in the original EIS due to the changes in the project, information, or circumstances. The DNR proposes that the following alternatives, impacts, and issues will be examined as part of the SEIS. Alternatives: The SEIS will address four alternatives for the increased production in taconite pellets: 1) the Proposed Alternative (Increase taconite pellet production from 4.1 mtpy to 6.5 mtpy), which was not addressed in the original EIS; 2) the No-Action Alternative, which is the original “Build or Proposed Project” Alternative evaluated in the Minnesota Steel EIS; 3) a re-evaluation of best available control technology (BACT) for criteria pollutants whose emission are estimated to increase in amounts greater than the significant increase thresholds under 40 CFR Part 52, for any proposed changes to the BACT identified in the original EIS; and 4) air emissions control technology alternatives for mercury. Impacts and Issues: surface water quantity and quality; wild rice; solid waste generation; air quality; contribution to global greenhouse emissions; mercury; cumulative air quality: Class I PSD Pollutants, Class I Acid Deposition and Ecosystem Acidification, and Class I Visibility Impairment; cumulative mercury; cumulative effects – climate change; and socioeconomics. Special Studies or Research: updated mine plan; updated water quantity and water quality balance; wild rice; solid wastes generation estimates and disposal options; air emissions inventory; BACT evaluation for air emissions; Class I air quality analysis; Class II air quality analysis; mercury mass balance and control technology assessment; human health screening level risk assessment; screening level ecological risk assessment; greenhouse gas emissions inventory; cumulative effects on Class I air quality – PSD pollutants; cumulative effects on Class I air quality – acid deposition and ecosystem acidification; cumulative effects on Class I air quality – visibility impairment; cumulative health risk screening assessment; cumulative mercury; cumulative effects on climate change; socioeconomic effects. The DNR will accept written comments on the Preparation Notice during a 21-day period beginning March 22, 2010. Comments must be received by 4:30 PM on April 12, 2010. Comments may be emailed to environmentalrev@state.mn.us with “Essar Steel” in the subject line. If using the email address, please include a name and mailing address so that it can be added to the mailing list. A public informational meeting will be held on March 25, 2010 at the Nashwauk-Keewatin High School, 400 2nd Street, Nashwauk, MN, 55769, from 5:30 – 7:30 PM. A draft SEIS is tentatively expected to be released for public review between October to December, 2010. The contact person at the DNR is: Bill Johnson, Planning Director, 500 Lafayette Road, St. Paul, MN 55155; 651-259-5126; bill.johnson@state.mn.us.